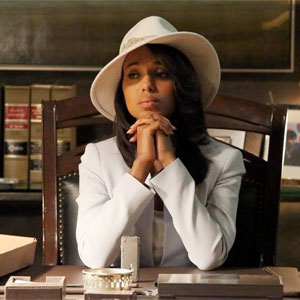 Scandal’s leading lady, character Olivia Pope, was markedly my fashion inspiration during 2013 – my Iyawo year. If I was going to wear nothing but white for 365 consecutive days, i’d do so as my mother has raised me – with class and style. I spent all of 2013 wearing white clothes every day, all the way down to my underwear and socks. Everyday I adorned myself in white suits, quality shoes, lovely blouses, and a perfectly perched headwrap. My mother gifted me with a white Coach bag to match my corporate day-job. And no, I never once spilled red kool-aid down my shirt. Who ever said that a Iyawo can’t look good AND be humble & pious never met me. Iyawo, a Nigerian Yoruba word for bride, is the title given to men and women going through the Ifa/Santeria/Candomble initiation rites to become a priest; or, in Yoruba, an Iyalosa or Babalosa. During this year, you become in some ways a nun and are married to your orisha. The Iyawo year is one of purification, dedication, humility, and sacrifice. It changes you in countless ways, and that’s the point. Of the men-ty men-ty men-ty lessons I learned during this year, here are 8 for you to meditate on (I’ve written many of these lessons down, and so far i’ve literally reached 236!). Fear of the unknown can make you hysterical. If an idle mind is the Devil’s playground, then unrestrained thoughts must be the Devil’s Disco. We all churn ideas in our heads, and basic thoughts quickly beget tangent upon tangent until they liken a snake-headed hydra. This often leads us to suffer hysteria or anxiety, and causes us to sometimes make drastic decisions alone in an empty room. Call down – your greatest fears are all in your imagination, and this isn’t fair to your greatest good. It’s a beautiful and clean constant to meditate upon when the environment is chaotic. Wearing white makes you meticulously aware of your surroundings and yourself. A perspective of lack makes you oblivious to your abundance. For eight months, I wondered how I would come up with the money to pay for my initiation. I looked for quick, lump-sum hustles that never cashed out. I admit, I was embarrassed when, with two months to go, I realized that I made more than enough money from my full-time job to pay everything if I just prepared, planned and SAVED. Only listen to your godparents. So many people have opinions that have nothing to do with your growth and highest good, but instead, their own ego and limited understanding. When an Elder shows you favor, yours are the keys to the vault of Knowledge and Wisdom. Sit at their feet. Ask few (yet intended) questions. Serve with your whole heart. And listen. Love combats the deepest and widest of fears. The fear my parents had leading up to my initiation was probably deeper than my own. But despite their and confusions, Love and dedication carried them to my ocha celebration. A short time later, they congratulated me for my choice and watched me grow. They expressed the highest pride and deepest support. My parents showed me how deeply they love me on the day I became a priest. but in time you will both know that you have. You invigorate the dreamers who want to change, too. Not everyone will see you and recoil or fear. Your ability to be strong and bold and different (and sometimes chastised) will inspire others. People will look towards you for hope, when you have thought they never saw you. Someone has been dreaming of and imagining a change – a better “Them”. Not knowing where to start, or what an improved version of self looks like, this person will look at your journey and understand. The journey will become clear, and lie out a path for others of self-development, one of which they could only dream. Do any of these lessons resonate with you? Can you relate? Want to know more about the iyawo process? If so, please leave your comments below! If you’d like me to create a video to share more about my process, say that too! Thanks for the link! Dr. Kimbro to makes me hallelujah shout in my soul. Congratulations on you completing your year and following your path of Kari osha. May our father Obatala always grant you peace, tranquility and clarity. May my mother Oshun bless you with happiness, joy, pride, love and overall good health. Interesting and inspiring article…Making me grow eager to get initiated…This article is very encouraging and I love your courage + bravery in choosing what you want for yourself…I pray the Orisas will continue to bless you…your blog is really an heart sweetener…From an aspiring initiate. Thank you for posting comments as you did. I think people have to understand that to make Kari Ocha one will need to make sacrifice and that the year in white is a moment of rebirth of understanding. I remember my year in white and the many ceremonies I’ve completed after my year. Orisha worship is detailed and fosters a greater energy in all of us. Alafia Iya ! Thanks so much for this article. It has served as more Divine confirmation for me. I am almost complete with my Yawo year ! ! 😉 I am humbled, grateful & at peace. Ye Ye Osun !! Thank you thank you thank you Iya ! I know several who were initated into this system. For some reason I’m drawn to it as initiates have be drawn to me. Interested in learning more. Good morning, and thanks for sharing. I’ll definitely be posting more content on my process….it seems to really intrigue the community! I’m not sure who made the original decision on the Iyawo wardrobe. But psychologically, white is such a calm color. You stand out, but in a good way. And it represents Purity…the Iyawo process is one of spiritual purification. My thoughts on the whites would be that being of African origin, white symbolized a balance/difference to the dark skin of the people. A prominent and profound difference. Interesting thought. I was often complimented on that contrast. Congratulations on your journey. May you be of the best service to others that your powers shall afford you. One question I do have is that, “If you are of a lineage other than Yoruba, should you follow the well known Yoruba tradition or seek that of your tribal lineage? I am African American and have recently found out that I am Massa, (Mitachondrially), from Cameroon and Chad, a Nilotic people originally. Knowing this now, has thrown my search for the right spirituality in a tailspin. Or should it matter? Maria… I am a priestess of Yemaya… the linage or blood line have nothing to do with the path a person decide to walk… am as far way from being African… but I love my faith, many African american decide to hold on to the christian faith… that is okay, my path is not for every one to walk. A Yoruba priest or priest have a life of services and test of faith in a daily basis. We don’t turn to this religion because is part of the culture, we do it because is our calling in life. I have to respectfully beg to differ to a degree. Bloodline and lineage have everything to do with it in many communities, yet there are many who are not of these lines who are called to service, myself included. 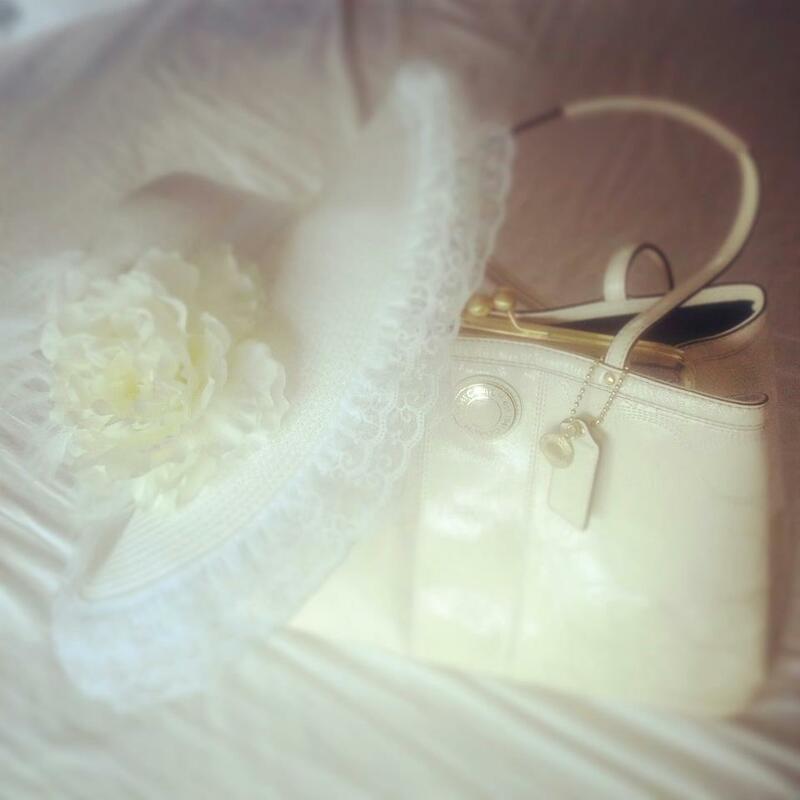 I still wear a lot of white, and more hats than I used to. The hardest part of the year for me was not touching anyone! Thank you for sharing. Congratulations and sincere thanks for sharing. A difficult but powerful lesson that I learned in my process: you don’t owe an explanation to anyone. I’d love to know more and begin the process. Yes, please post a video! Hey Jenney! Very good question – I wanted to pursue this path because it felt true. In my faith, and in many indigenous spiritual practices/religions/philosophies, there’s an active relationship with the Divine beyond just prayer, hope, faith. To be able to change things about myself physically, and in my environment, helped to project the change I sought and felt inside. Does that make sense? thanks dollface! proud of you. keep shining. MUAHZ!!!! Yes, thanks for sharing! I would most definitely love a video that speaks about your process! I’m intrigued. I would LOVE it if you posted a video sharing your process with us. Thank you for sharing! I do have a few questions for you. How was it when you stepped out of the white? Do you find yourself wrapping in white when you are feeling hysterical or confused now? What did wearing, eating from, sleeping on, and cleansing yourself with white mean for your at the time and what yoes it mean for you now that you are a Iyalosa? What were some of the most intriguing questions from outsiders during your year? Great questions!!! Man, I’ll need to make a follow up post! I’ll say this – colors are fun, but white is now my Identity. My brand. I still wear a piece of white clothing everyday. I still sleep on white. It’s definitely a safe haven.